Naim mu-so sets new benchmark in wireless audio. 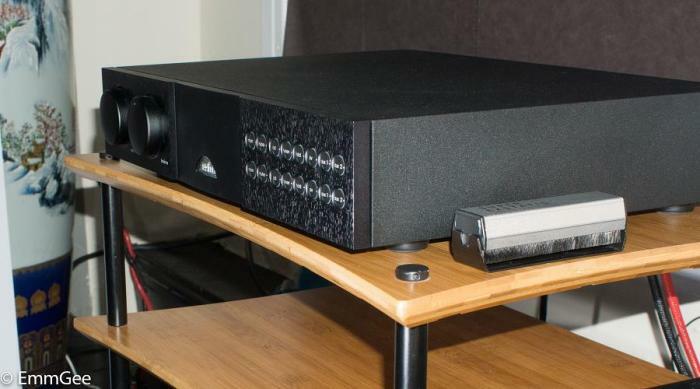 Naim Audio have once again raised the stakes with a truly innovative product. As ever they bring us the pleasure of high end audio but this time in a stand-alone wireless audio system. I refer of course to the mu-so wireless all in one music player. 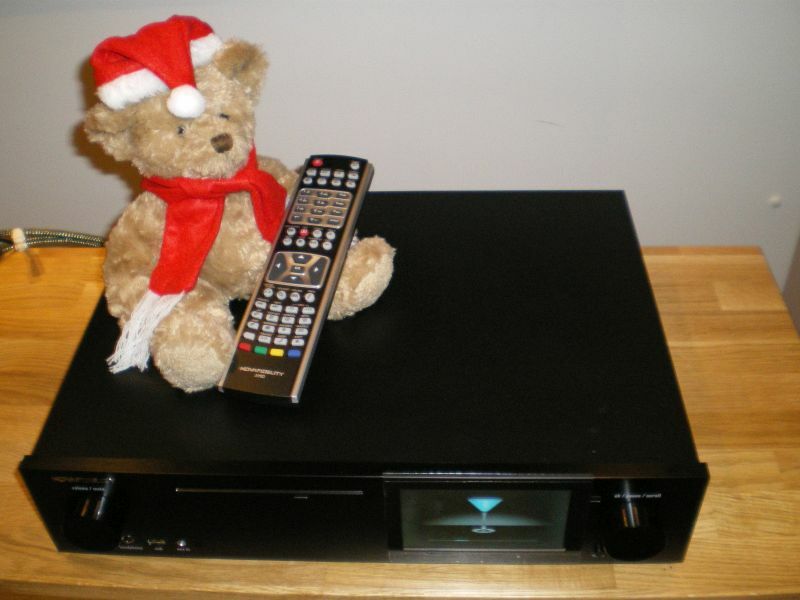 The mu-so is a high quality active streaming receiver. It can play music from your PC , Mac or home network. It can connect to Spotify , internet radio, Apple AirPlay or Bluetooth and even has a USB and digital optical input. It is compatible with MP3, Flac (regular and high res 24 bit), WAV, and Apple. In short, as wireless streamers go there's not a lot that it doesn’t do. Beneath the surface, the mu-so houses six custom designed speakers, each driven by its own 75 watt amplifier bringing us a total of 450 watts of power using technology inspired by the audio systems that Naim build for Bentley Motors. When we first opened the box and took the mu-so out, you could tell straight away that this was a quality product built to amazingly high standards. The look and design of the mu-so is superb elegant and simple. Its brushed silver anodised aluminium chassis combined with the illuminated touch panel control and rotary volume seem almost futuristic and yet, are intuitive and easy to use. The mu-so can also be controlled by the Naim app available on both apple and Android devices. With its varied functionality there are a few different ways to connect and set up the mu-so all of which are logical and straight forward. We soon had ours sat happily on our wi-fi network and playing from our music library. The music reproduction is amazing. For a relatively small product the sound that it delivers is super smooth with crystal clear clarity and jaw dropping bass, and its not shy when it comes to volume either. So come in and have a look, have listen and you'll soon be adding a Naim mu-so to your Christmas list. We are pleased to announce that following the success of our first vinyl evening, we will be returning to The Bridge Pub for another evening of musical entertainment. This time around the album is going to be Bryter Layter by Nick Drake. We will be using a recent repressing cut from a back up copy of the original master tapes that had been kept safe by the producer Joe Boyd. Equipment wise, the mighty Rega RP10 will be making a triumphant return but will be fed into into Naim Audio electronics (exact set up TBC) and PMCs latest speaker the Twenty 26. Our new PMC Twenty 26 speakers have arrived and are playing instore. Seating is limited, so please get in touch if you would like to come along to avoid any disappointment. Doors open at 6pm, album start 6.30pm. Just to let you know our second Classic Album Evening went swimmingly and a good time was had by all. Here is some feedback from one of our patrons. Thompson's bass playing really came through well! Don't forget!! If you want to attend our next Classic Album Evening just drop us an email at manchester@audio-t.co.uk. Or keep an on our blog page for upcoming dates. We are delighted to announce a collaboration between Audio T Brighton, Naim & Focal as we join forces to exhibit together at AudioWorld Brighton on Saturday 29th and Sunday 30th March 2014. The Holiday Inn Hotel on Brighton Seafront Room 227 is where you wil find us. Come and join us for a friendly visit. Special Show Deal available. You can visit the Audioworld website and see what else is going on.